Elizabeth Mabel Bickerdike was born about 1873 in Bombay, India. Her father was an East India merchant. The 1881 Census showed her living with her family in Surrey, England1 as did the census for 18912 and she was educated at the Girls High School, Croydon. She trained as a nurse at the Infirmary in Bolton, Lancashire, and then worked at the Borough Fever Hospital, Croydon. She enlisted in the Princess Christian’s Army Nursing Service (Reserve) on the 13th October, 18993. The Queen’s South Africa Medal Rolls show her as having served at No.2 General Hospital, Pretoria4; at No.5 General Hospital, Wynberg5; at No.8 General Hospital, Bloemfontein6, and at No.19 General Hospital, Pretoria7, arriving home to Southampton on the Targus on April 30th, 1901. She joined the QAIMNS in 19038 and in February 1903 was in the list of the first 12 nurses to be posted as “Staff Nurses” to the Herbert Hospital, Woolwich. In February 1904 she was posted to the troopship Plassy for “Indian troopship duty” and returned to Woolwich in April 1904. 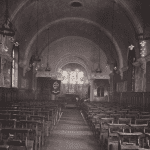 She was posted to Alton and in January 1906 to the Military Hospital, Portsmouth. 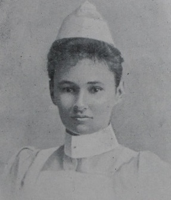 She resigned in July 1906 and became a private nurse with the Registered Nurses Society. The 1911 Census showed her working as a hospital nurse at the Mount Vernon Hospital for Consumption, London9. She rejoined the QAIMNS at the start of WW1 becoming an Assistant Matron. She saw service in a number of places. In Egypt, she was at the engagement at Agadir on the 26th February, 1916. 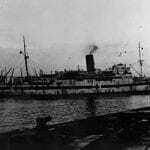 She was awarded the Associate Royal Red Cross (ARRC) in 191810.